What Does Code P0452 Mean? The OBDII system on 1996 and newer vehicles is equipped with an evaporative emissions monitor that performs diagnostic self-checks to detect fuel vapor leaks. If a leak is detected, then a code is set in the engine control module and the check engine light is illuminated. The component that reads the fuel vapor pressure is the evaporative emission control system pressure sensor, also referred to as the fuel tank pressure sensor. The evaporative emission (EVAP) control system pressure sensor is used for onboard diagnosis of the EVAP system itself to check for leaks and does not initiate or control changes to the EVAP purge or vent valve operations. It detects and measures pressure in the purge line of the EVAP system. The pressure sensor’s output voltage increases as the pressure in the purge line increases, and the sensor voltage output is monitored by the engine control module (ECM). 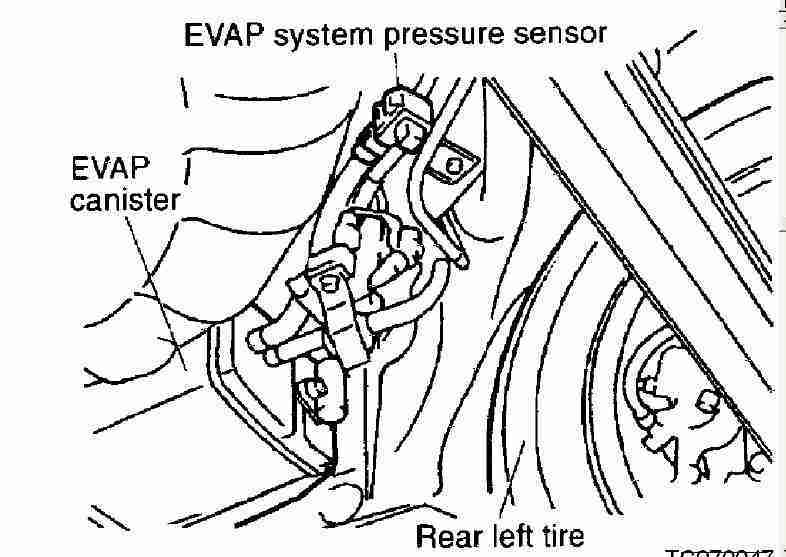 The EVAP system pressure sensor (courtesy: justanswer.com) is located at the EVAP canister. It can be mounted directly on the canister or it may be connected to the EVAP canister by a section of hose. The EVAP control system pressure sensor converts pressure to a voltage reading. The sensor voltage is then communicated to the ECM via a signal wire connected to the sensor. There are three wires for the EVAP pressure sensor: a ground, a 5v reference signal, and the sensor signal wire. 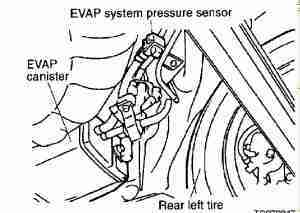 The EVAP pressure sensor is only monitored under certain conditions which can make it tricky to diagnose. Voltage is monitored by the ECM only once the vehicle speed sensor has recorded a trip of one minute at a minimum speed of 10 miles per hour. The ECM only monitors the EVAP control system pressure sensor when the fuel tank level is between 25 and 75 percent. The code P0452 is set when the ECM reads a low voltage signal from the EVAP control system pressure sensor. 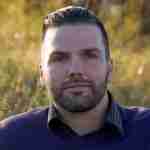 What are the common causes of code P0452 ? What are the symptoms of code P0452 ? Typically, there aren’t any operational symptoms associated with code P0452 aside from the illuminated engine light. It is possible that there could be a fuel odor present in some instances. How do you troubleshoot code P0452 ? Perform a visual inspection of the wiring and the EVAP control system pressure sensor. The code P0452 is often be associated with damaged or corroded wiring or a failed or unplugged sensor. Locate the EVAP canister under your vehicle. It may be attached to the fuel tank or it may be separate from the fuel tank with hoses running to the fuel pump at the fuel tank. Check that the EVAP control system pressure sensor’s connector is fully seated and clipped in. Inspect the sensor connector for corrosion at the wires. Disconnect the sensor and inspect the pins in the terminal to ensure they are clean and moisture free. Trace the wiring from the sensor back to determine if there are any breaks swollen spots on the wiring insulation that can indicate corrosion inside the wire. You may have to remove loom or electrical tape to inspect the wiring. Test the output voltage on the sensor. You can test the sensor voltage either with a scan tool or with a multimeter. With a multimeter, verify your reference wire has 5 volts and check the continuity of the ground circuit. Probe the sensor signal wire with a multimeter set to read voltage. With the key in the on position but the engine not running, you should read a voltage value somewhere around 3 volts. Remove the hose attached to the EVAP pressure sensor and apply vacuum with a vacuum tester, monitoring changes in voltage on your multimeter. If the voltage changes with vacuum applied, the sensor is operating. If the voltage doesn’t change with vacuum applied, the sensor is faulty. If you’re using a scan tool, access the EVAP pressure sensor reading in freeze frame data with a scan tool. The key must be in the on position with the engine off. The normal reading from the EVAP pressure sensor should be roughly 3 volts and should never exceed 4.5 volts. If the code P0452 is set in the ECM and the voltage is reading in the normal value range, you likely have an intermittent problem. Perform a wiggle test on the wiring to determine if there is a communication problem from the sensor to the ECM. Wiggle along the length of the circuit, monitoring the reading on your scan tool to see if there are fluctuations in the voltage. If the voltage spikes or drops off while you are wiggling a section of wire, you likely have a break in the wire that needs to be repaired. Wiggle test the connector at the EVAP pressure sensor. Continue monitoring the voltage on your scan tool for fluctuations. If the voltage fluctuates when you wiggle the connector, check the connector for broken or damaged pins. 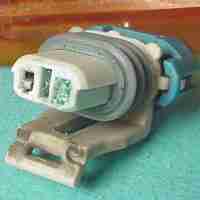 The connector may also be damaged inside. If the wiggle test doesn’t yield a result, disconnect the EVAP pressure sensor and monitor the voltage. If the voltage is still high with the sensor unplugged, check the wiring harness for a short to voltage on the signal wire. If the sensor was reading high voltage and that disappears when the sensor is unplugged, check for proper ground and ensure you have 5-volt reference voltage. If the reference voltage and ground are good, you likely have an EVAP pressure sensor fault and the sensor needs to be replaced. It is possible that, if the high voltage disappears when the sensor is unplugged, the ground circuit is good, and the reference voltage is correct, that there is a blockage in an EVAP purge system hose. Disconnect the hoses from the EVAP purge valve and blow compressed air through them to make sure they are free-flowing. If there is a blockage, replace the hose.